In My Projects section only projects where a user is assigned to project team appear (either as project manager, team member or guest). 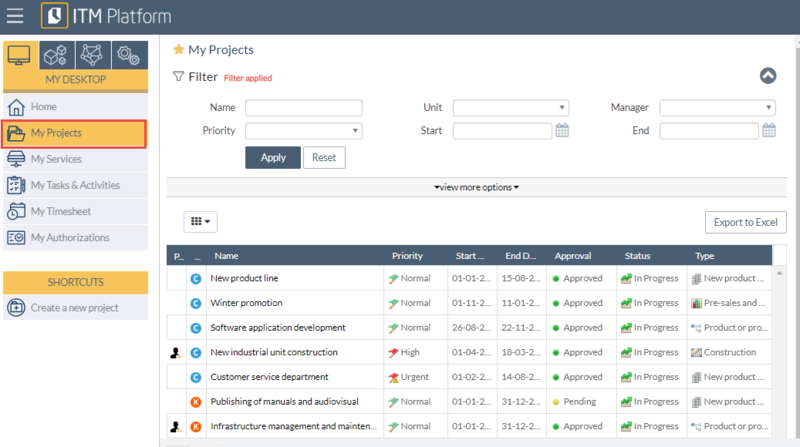 If you want a particular project to appear in your My Projects, you need to be assigned on a project team. Projects will appear now in My Projects. In case of assigned as project manager a small icon will appear on each project line.